I’ve never been one of these people to shy away from a meat-free meal, and recently I’ve been trying to increase the amount of vegetarian foods in my repertoire. Of course, not everybody is so easy to convince – many people have an idea of vegetarian cooking as lacking substance or not being filling. This recipe certainly proves that wrong. 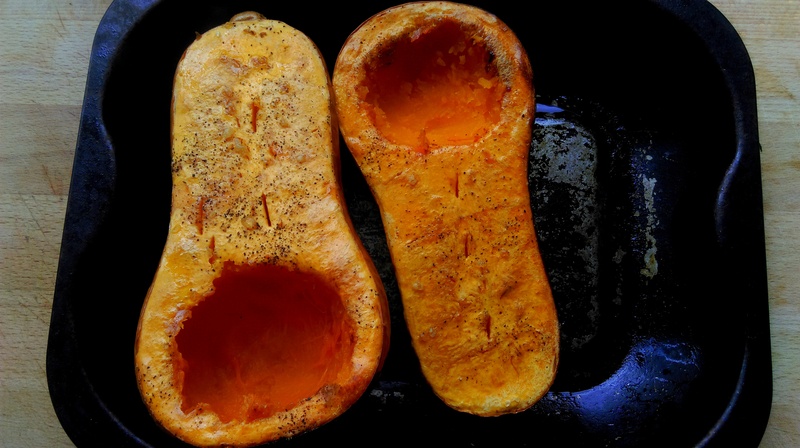 While mushrooms might be the go-to meat-alternative vegetable, anybody who follows this blog will be aware of my love of squash. While the marriage of Avocado, Pepper, Squash and Sweetcorn may seem a little random there is method to the madness; the squash is incredibly filling and works as a good center-point of the meal, and I knew the other flavours went well together because of their prevalence in Tex-Mex cooking. Combined in this way the entire dish makes a beautifully fresh feeling summer meal that has no difficulty filling one up. Though the dish itself has four elements, all are very easily prepared in a short space of time, so you won’t be juggling umpteen tasks. 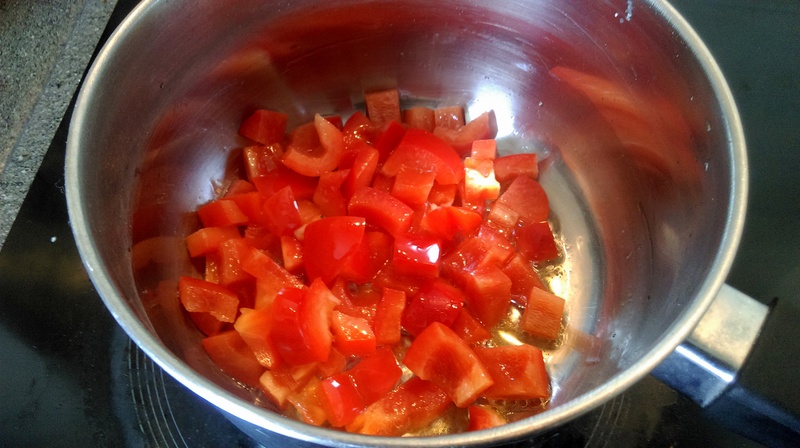 I should also add that while I use butter in the sweetcorn puree, one could substitute vegan-margarine or even olive oil to similar effect – I would probably just use less to ensure the same thick texture. I believe this would make the entire dish vegan-friendly, although correct me if I’m wrong. 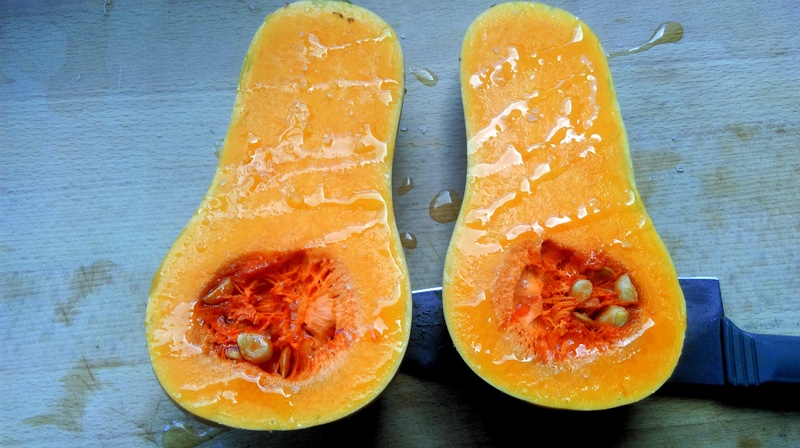 Slice the squash in half and rub in a little salt (this will help the flesh soften as it cooks as well as adding flavour) and pepper. Place in the center of the oven for around an hour. After an hour has passed, remove the now very soft seeded section and return to the oven until the flesh has fully softened. You can test this with a knife, though I would imagine 20 more minutes is plenty. While it cooks prepare your other elements. 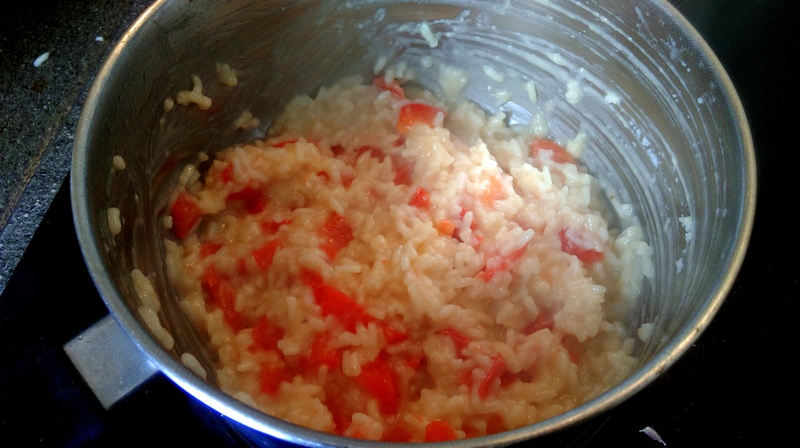 For the rice, simply dice the pepper and fry in a little olive oil until it softens and begins to brown. Add the rice and stir fry for a minute or two, until the rice has turned translucent. 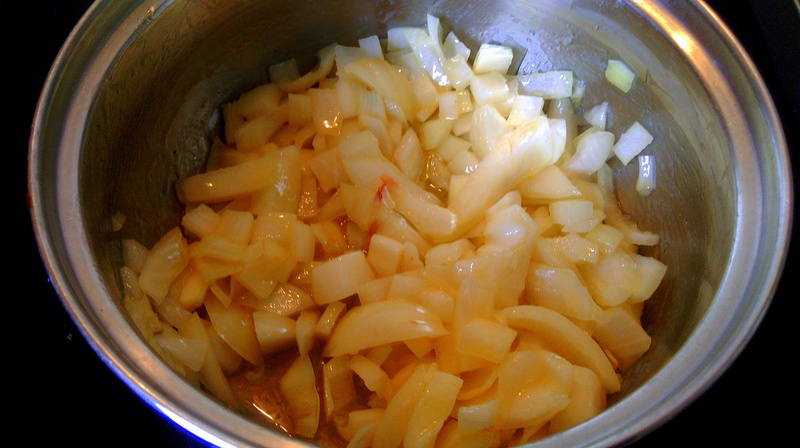 Pour in some hot water or stock and leave to simmer until cooked. For a drier rice than I have made here, rinse a little beforehand in a sieve and don’t stir too much while cooking. For the sweetcorn purée start by melting a decent chunk of butter/alternative in a pan and adding the diced onion and a sprinkling of salt. Cover and cook for 5 minutes or so until the onion is soft but not brown. 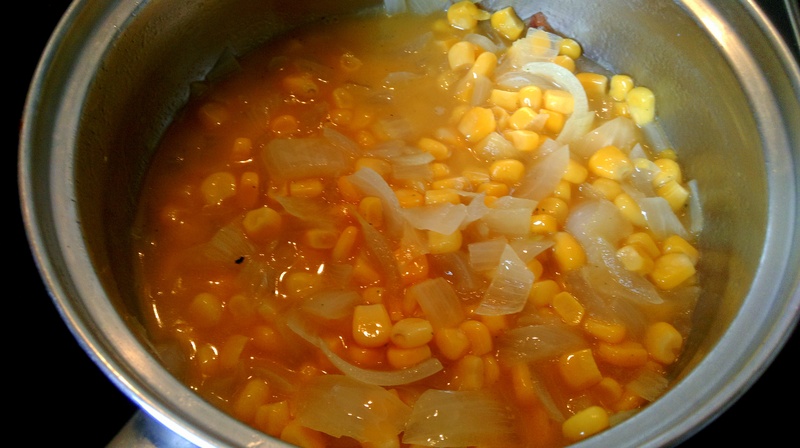 Add the sweetcorn and enough vegetable stock to just about cover the mixture and cook for another ten minutes or so over a gentle heat. 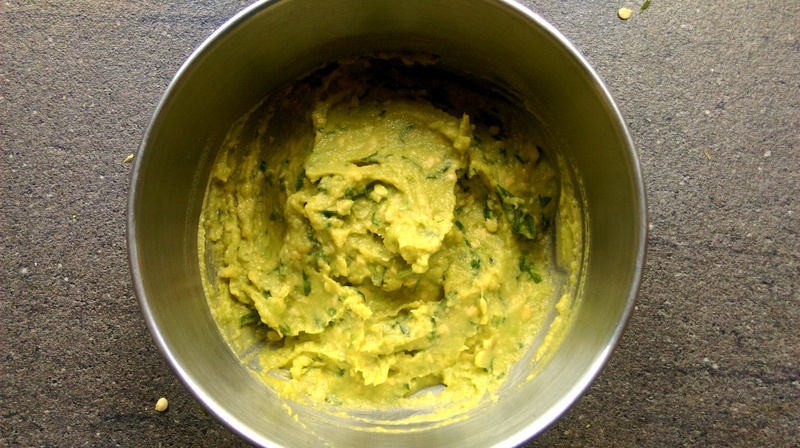 After this, blend throughly until you have a fairly thick, smooth paste. 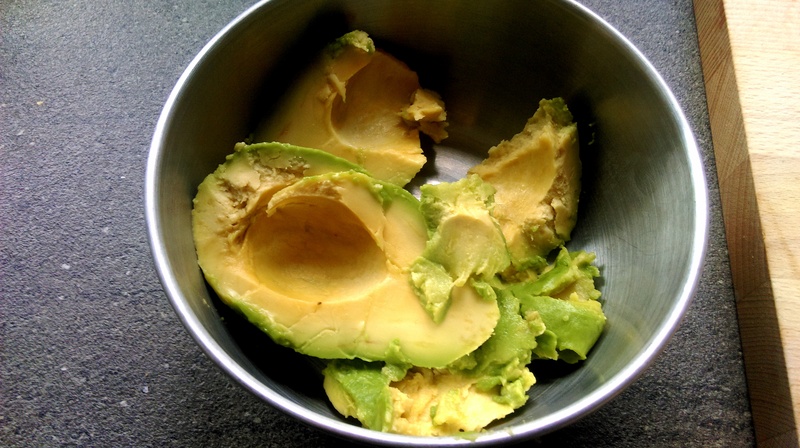 For the Avocado-Basil add the avocado to a bowl and mash gently. Add chopped basil and the zest of half a lemon. Mix in a few drips of balsamic vinegar to taste. All of the elements should be ready around the same time. 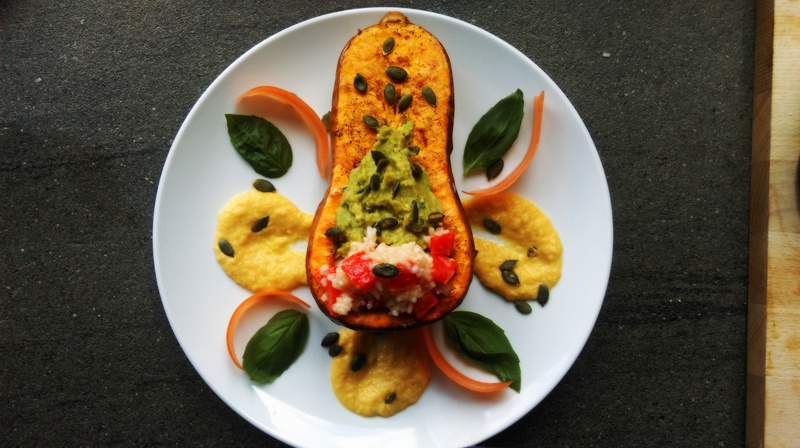 Place the pepper rice and basil-avocado in the cavity of the squash, spreading the avocado mixture out slightly. Spread the sweetcorn purée on the plate and place the squash on top. I decided to serve with a few more fresh basil leaves, some carrot curls (use a peeler on a whole carrot and leave the shavings in ice water for half an hour) and a sprinkling of pumpkin seeds. The mixture was absolutely delicious. I challenge any self-proclaimed “carnivores” to eat this and see if they’re not satisfied. Posted in Guesscipes, Mains, VegetarianTagged avocado, cooking, featured, food, fresh, guesscipe, healthy, recipe, roast, squash, summer, sweetcorn, VegetarianBookmark the permalink.